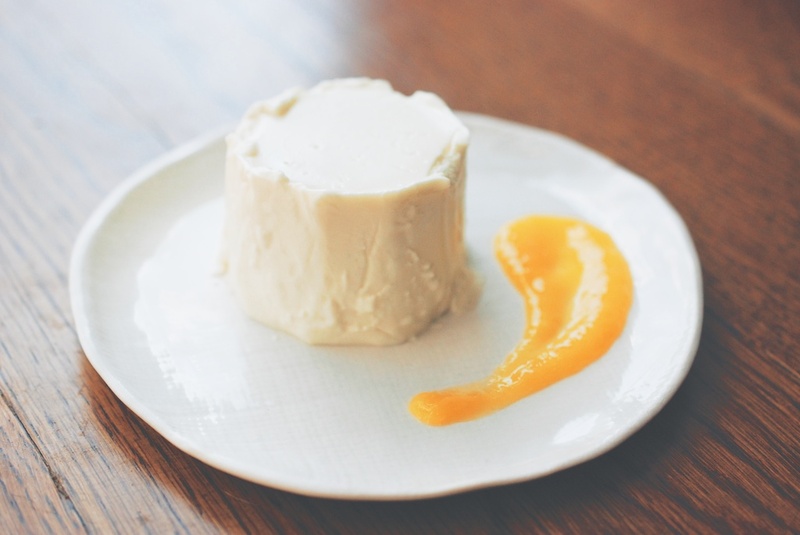 I’ve always loved, loved, loved panna cotta–really, any super creamy dessert has my vote–but I’d never considered making it at home before. 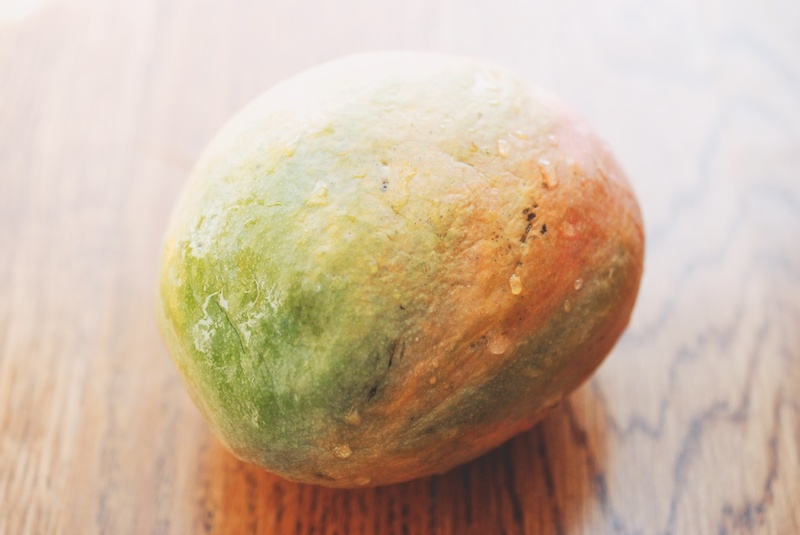 (Erroneously, it transpires), I had visions of sloshing water baths, scary-complicated gelatin packs, and in-general technical difficulties floating around in my head. Oh, how wonderful to be so, so wrong! 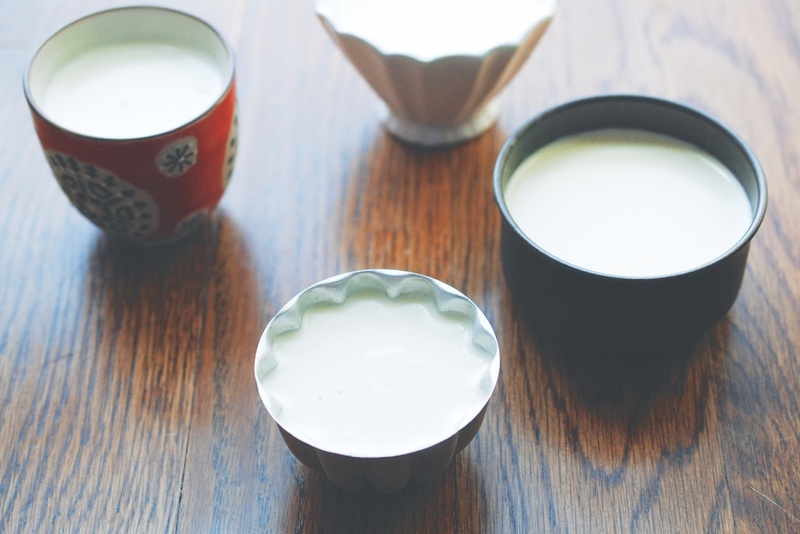 In actuality, panna cotta is dead simple to make. It’s perfect for your next dinner party/potluck/office party, because it needs to be made ahead of time and chilled anyway. It also looks and tastes like a million bucks, so your guests will leave your home/event/office with the impression that you are a dessert wizard/magical confection fairy. Not bad for ten minutes of active labor. 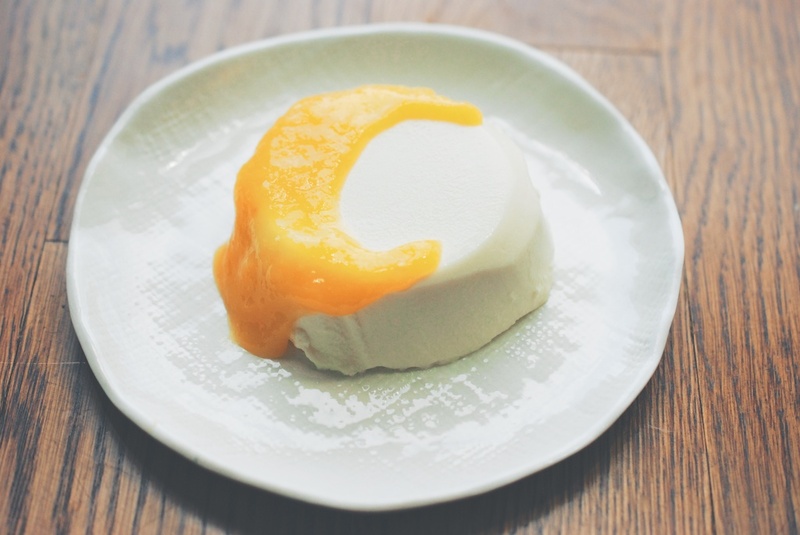 Having never made panna cotta before, I had to do some research on this one. I came up with my formula and procedure after studying the work of some real-life dessert wizards/magical confection fairies: David Lebovitz’s recipe for Perfect Panna Cotta; Faith Durand (of The Kitchn fame)’s recipe for Panna Cotta; David Tanis’s recipe for Coconut-Cardamon Panna Cotta; and Claudia Fleming’s recipe for Buttermilk Panna Cotta. I compared them all, did some mathematics, and hoped for the best. After a little tinkering, I am happy to announce my addiction to the following two recipes. I think I got the consistency just right: perfectly smooth texture, with just the right amount of wobble. You can customize these desserts for the season with your choice of fruit topping. At the height of summer, use blackberries, either whole or cooked down into a jammy sauce. 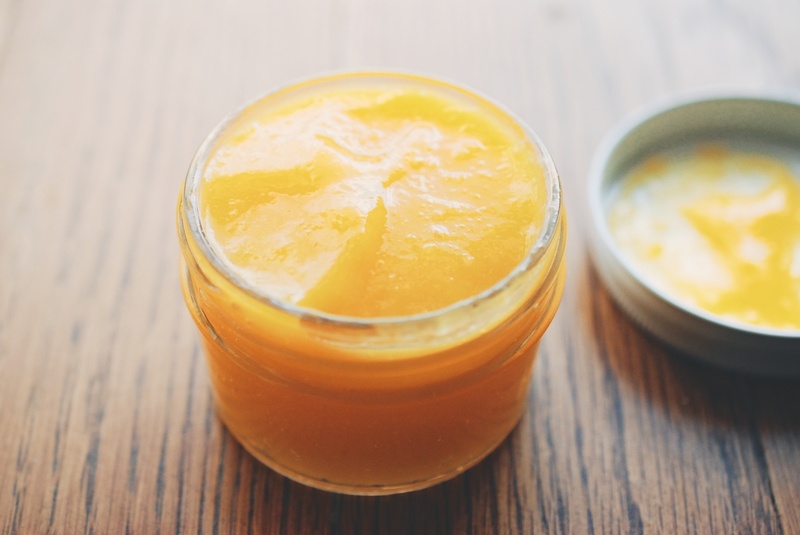 In winter, try lemon curd. At any time, thin your favorite jam with a bit of water–I like strawberry. And speaking of presentation: I used a variety of small, differently-shaped cups when testing these. I did as Mr. Lebovitz suggested, and greased each cup with a bit of neutral oil, to facilitate the un-molding process. Well, perhaps I didn’t use enough oil, because none of my panna cottas escaped their cups with ease. In the end, my advice is this: serve your panna cottas in short, clear glasses. (If you are traveling with them, or don’t want to deal with dishes, just use nice, clear, plastic cups.) Spoon some topping into each glass. Serve. It looks quite pretty, and it will save you a headache + more dishes to wash.
And now, without further ado, I have to go to the gym to work off the fifteen panna cottas I just polished off in the name of..um..professional research. Whatever, it was totally worth it. Serves 6-8, depending on the size of your cups. I love the tang of goat’s milk yogurt. (I used Coach Farm’s Plain Yo-Goat Cultured Goat Milk–scroll down–which I found in the dairy section of my supermarket.) 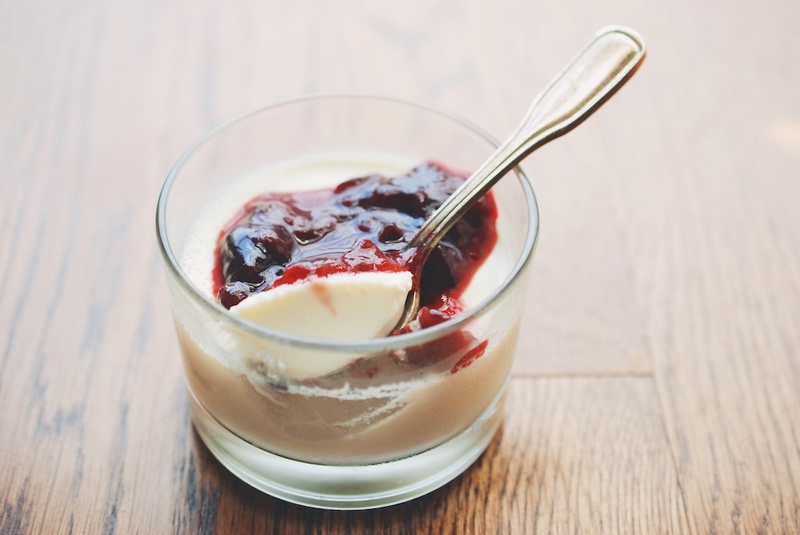 Any extra plum-vanilla compote would be delicious on yogurt, oatmeal, the list goes on. Pour the powdered gelatin into a small bowl. Add the chilled water, and then leave the bowl alone for 5 minutes. In a saucepan, gently warm the cream, the 6 tablespoons of sugar, and the salt over medium-low heat. Stir, until the sugar and salt dissolve. (Don’t let the cream reach a simmer.) When the cream is warmed, turn off the heat. 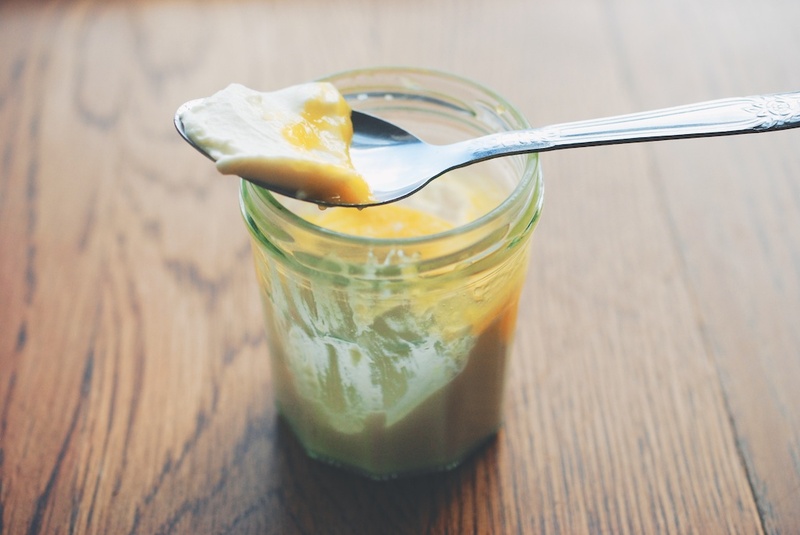 Pour in the goat’s milk yogurt, and whisk in the gelatin. (By this point, the powdered gelatin should have absorbed all the water. It will be the color of champagne, and a soft solid.) After whisking a minute, rub a drop of the cream base between two fingers: it should be smooth. Now ladle the base into individual cups. 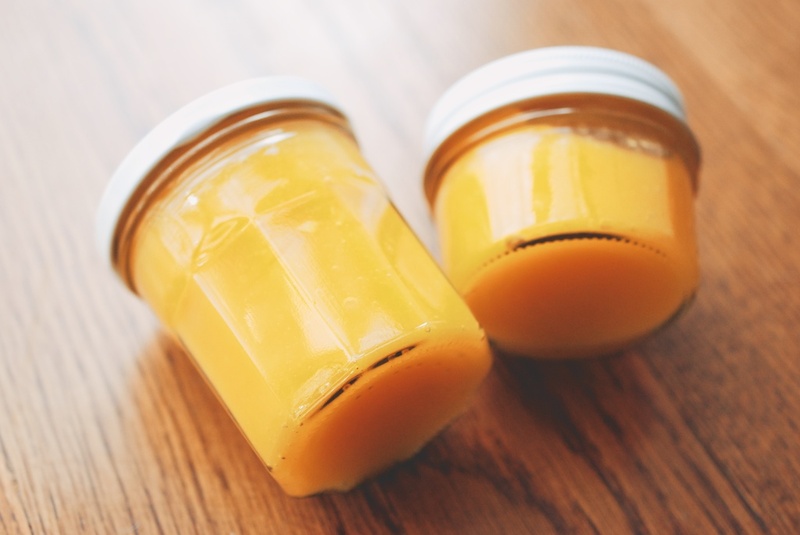 Cover the cups with plastic wrap, and move them to the fridge for at least 3-4 hours. Quarter the plums directly into a medium-sized pot. Add the remaining sugar, and the scraped vanilla bean; stir to combine. Cook the fruit over medium heat for about 30 minutes, until the plums are jammy and broken down. Remove the vanilla bean, and allow the compote to cool. 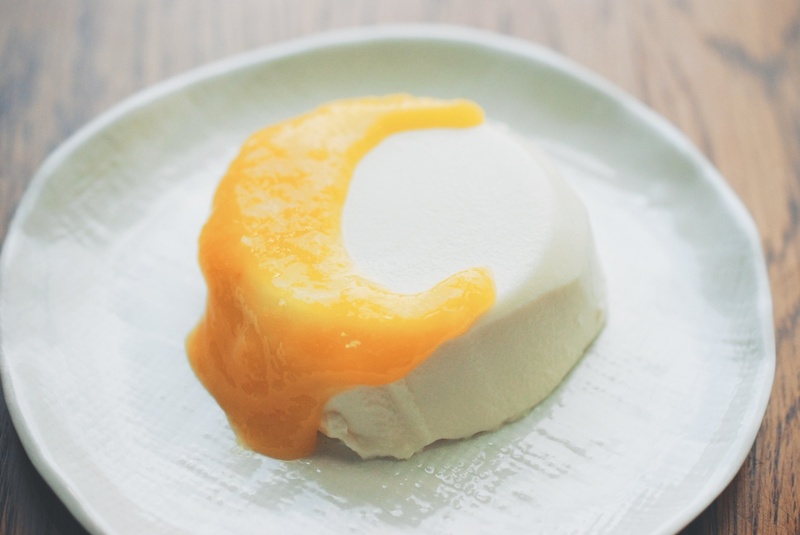 I ordered a coconut panna cotta with mango puree in a restaurant recently, and it was so delicious that I ran home to make my own. In a saucepan, gently warm the cream, the 6 tablespoons of sugar, and the salt over medium-low heat. Stir, until the sugar and salt dissolve. (Don’t let the cream reach a simmer.) When the cream is warmed, turn off the heat. Pour in the coconut milk, and whisk in the gelatin. (By this point, the powdered gelatin should have absorbed all the water. It will be the color of champagne, and a soft solid.) After whisking a minute, rub a drop of the cream base between two fingers: it should be smooth. Now ladle the base into individual cups. Cover the cups with plastic wrap, and move them to the fridge for at least 3-4 hours. Peel and dice the mango; add the fruit to the bowl of a food processor, along with the remaining sugar and the lime juice. 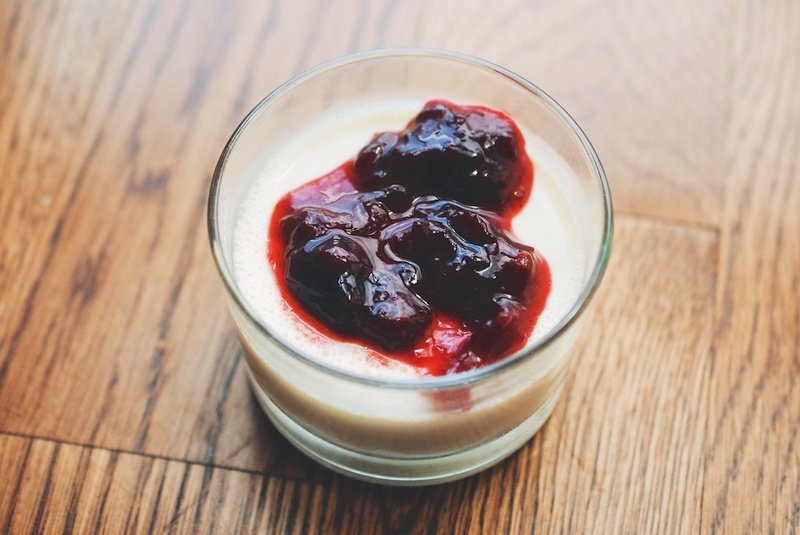 Blend until smooth, and then chill until you’re ready to serve the panna cottas. Awesome! Dessert has never really been my strong suit, but I think I can do this for sure. I think I’d love the goat cheese one for myself, but the coconut for my wife. Omg, Cristina! This looks divine and I will gladly take any of that mango puree off your hands!